Retailers are jumping on the mobile app bandwagon, but it’s impossible to download every single app that your favorite retailers offer. This is where Swarm comes into play. A next-generation shopping aid that doesn’t need to be downloaded, Swarm helps shoppers shop by simply stepping into a participating retail location. Swarm is the brainchild of former Gannett executives Ryan Denehy, Swarm’s Executive Vice President, and Rudd Davis, Swarm’s CEO, who found a competitive advantage in bypassing the need to download a shopping app in the first place. “We realized that if we could remove the barrier to entry by eliminating the need to have to download anything, and just create an interactive in-store experience delivered right to someone’s phone, the consumer would win by having an improved in-store experience saving time, saving money,” Denehy explained to Digital Trends. The duo developed an in-browser mobile client in HTML5 that prompts a shopper stepping into a participating retailer’s doors with the option to open that retailer’s Swarm app in the mobile browser. 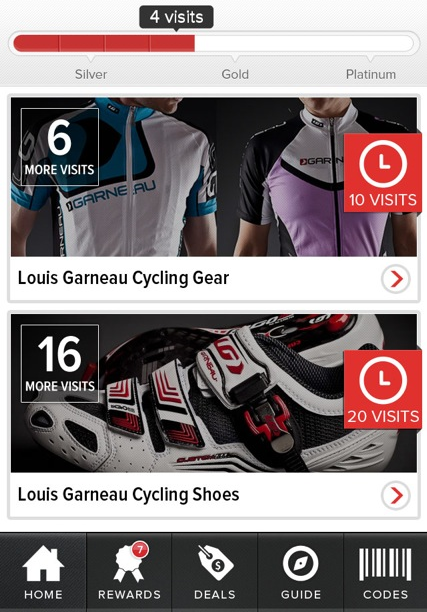 The app’s features are tailored to each retailer’s needs, and it’s skinned with the retailer’s branding. If you walk into JCrew, for example, a notification will pop-up on your smartphone and ask you if you’re interested in opening JCrew’s mobile browser app for a 10 percent discount. Swarm, for both customers and retailers, is actually an efficient service. The app only pops-up at the physical retail location and provides its users with useful information, like listings of new or discounted products. To help guide shoppers that unsure of which brand to purchase, extra content like product descriptions or reviews from a publisher (like from Digital Trends, for example) could be fed through Swarm. 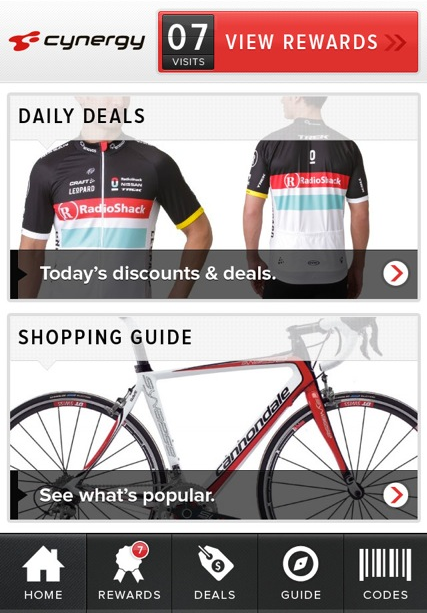 Then, of course, discounts and promotions will surface through the app based on the aisles that you peruse. Best of all, your data plan won’t be depleted. Swarm uses its own WiFi router that the company provides to every participating retailer. Behind the scenes, Swarm isn’t just a browser-based app. In conjunction with the Swarm router that takes just five minutes to install and connects to the retailer’s existing network, there’s also a robust analytic dashboard for participating retailers to track their customer’s shopping habits. “Our platform allows retailers to identify whether a customer is a first time shopper or a returning user. From there we’re able to offer lots of different features connected to that retailer,” Denehy said. Swarm can triangulate every shopper’s position in the store within a couple of feet, and even find out if shoppers are checking Amazon or using a price comparison app while they’re in the store. (A slightly terrifying proposition, if you ask us.) If Swarm detects that a shopper is checking prices on another app, the retailer can then send what Denehy calls a “rescue offer,” which allows the retailer to send that specific user a discount on a particular product in an attempt to entice them to make the purchase within the store. EBay and Amazon are undoubtedly stiff competitor for brick and mortar retailers, and it doesn’t help that these company’s apps are the top two most used shopping and commerce in the United States, according to a Nielsen poll. While there’s no way to prevent customers from pulling out their smartphones, Swarm just might be a retailer’s last line of defense. Swarm, which had a soft yet official launch last week, signed up 100 retailers to its pilot program spread throughout three categories: clothing and accessories, footwear, and sporting goods. But that’s not the end of it. Before the holiday season, Swarm will announce several hundred more, including national chains. Swarm is just one app in a new trend that’s emerging as shopping apps are increasingly becoming a crucial digital companion for the shoppers among us. In fact, in 2012, 47 percent of American smartphone owners have used a shopping app and have accessed these apps on average 17 times, according to Nielsen. Shoppers may be comforted by the realization that that our shopping experience in the near future will be dynamic. Just as online retailers do now, brick-and-mortar retailers will soon know exactly what we like, purchase (or are hesitant to purchase), and tailor their in-store shopping experience based on our habits. Now bring on the deals.